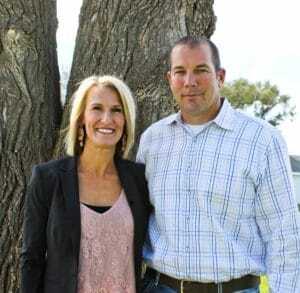 Steve and Charlotte Wallin of Imperial, have been active in agriculture for 20 years. Steve is a third generation farmer with a focus primarily on Corn and Wheat. Steve and Char have 3 kids, Matalie age 14, Mason age 12 and Kadence age 9. Steve serves on the Imperial Rural Fire District Board and Chase County Schools Board and was a Member of Nebraska LEAD Group 25. Char is on the board for the local Teammates chapter and active in Awanas, and an avid volunteer for whatever she can. For now, their “hobbies” are attending sporting events year round, 4H, Awanas, backyard chickens, playing catch and maybe a lake day or two in the summer. The family as a whole, loves the “cycle” of Ag of watching something grow and come to fruition, whether it be a crop or livestock.